Good health is key to profitable and sustainable animal production. 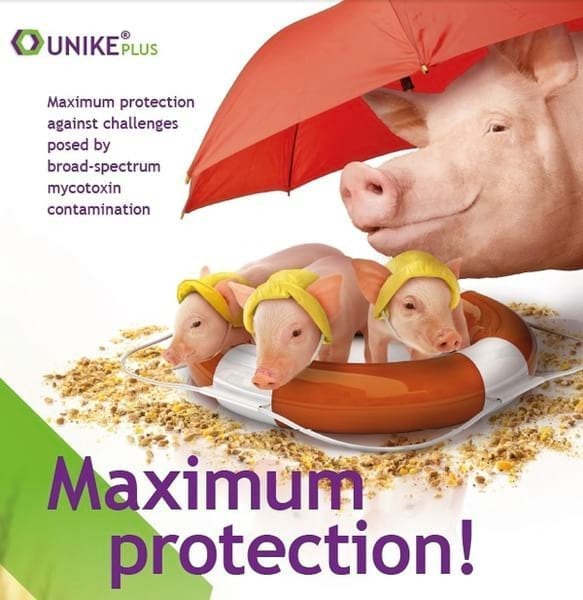 This is especially critical for breeding animals like sows, piglets, boars, dairy cows and breeding poultry which are affected more severely by mycotoxins in feed compared to growing-finishing animals. Mycotoxins in feed impair health and reduce performance in fattening animals as well, with significant economic losses for the producer, especially when medication costs to restore animal health are considered. 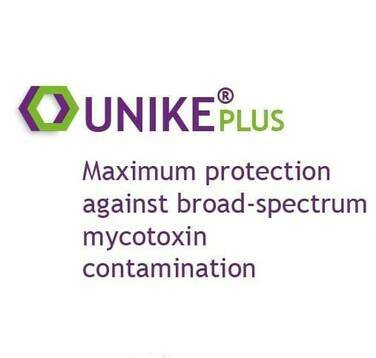 With UNIKE®PLUS, health and performance of high performing animals is assured. 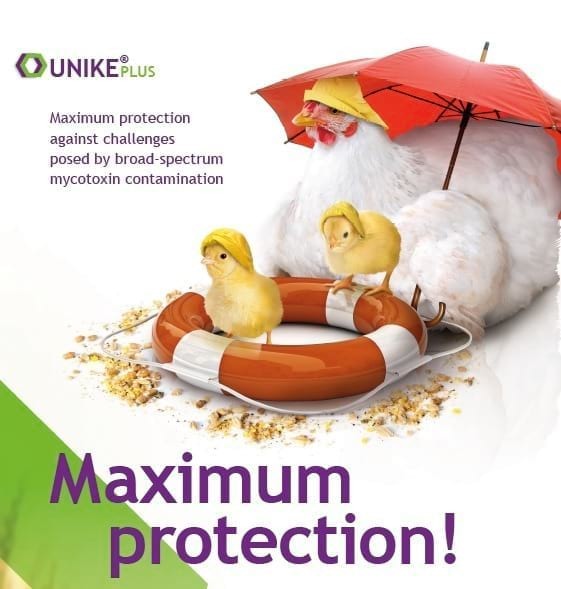 UNIKE® PLUS provides maximum protection not only against ingested mycotoxins, but also against the negative effects of absorbed mycotoxins; and it works equally well for all breeding animals. 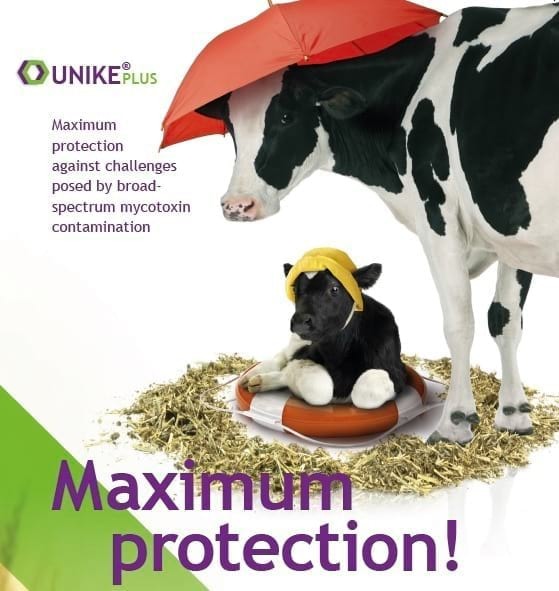 Best solution against broad-spectrum mycotoxin contamination in feed. Supports optimal functioning of the immune, reproductive, antioxidant and digestive systems under commercial conditions. Allows liver, GIT, kidneys, and other organs to function without interference from toxins. Sustains high levels of pig fertility and overall performance.